• The PAN’s loss of a key election last Sunday is likely a forecast of the party’s defeat in the 2006 run for the presidency. • Immigration initiatives offered in the past by the U.S. once held promise, but now have either died or faltered. • Economic stagnation and political ineptitude defines President Fox’s indifferent presidency. • Bush’s staccato interjections and photo ops are no substitute for a bona fide policy, but were good enough for Fox. • A weak labor union movement allows for continued exploitation of Mexican workers. • Corrupt judicial and law enforcement practices infringe upon the implementation of justice and minimal respect for human rights. • Mexico’s Office of the President fails to serve as an essential model of ethical standards and authentic democratic practices. • Fox’s shabby treatment of the illustrious Adolfo Aguilar Zinser will permanently mar his record. This past Sunday, July 3, represented a stunning indictment by Mexican citizens on how little President Vicente Fox’s government had progressed after five years in office, as the state of Mexico’s voters went to the polls to elect a Revolutionary Institutional Party (PRI) governor, Enrique Peña Nieto. Fox’s National Action Party’s (PAN) candidate, Rubén Mendoza Ayala, suffered a humiliating defeat in receiving an estimated 25 percent of the ballot, while Peña Nieto, won decisively with 47 percent. This election was widely anticipated as a significant testing ground of national public opinion since the state of Mexico is the nation’s most populous urban setting; the state surrounds, but does not include Mexico City. This pivotal loss may foretell the results of the 2006 presidential election, as a growing dissent among Mexican citizens continues to be registered against Fox and the PAN. Fox’s election was supposed to represent the triumph of democracy for the Mexican people, but this promise has gone widely unfulfilled. In 2000, Fox was elected president, breaking the PRI’s 71-year reign over Mexican politics. Fox’s victory was hailed as a democratic solution to decades of corrupt politics, a stagnant economy and a woefully inadequate judicial system. However, the illusion of a transformed Mexico and the public’s initial enchantment with Fox subsequently evaporated once he settled into Los Pinos, the country’s presidential palace, and began his descent into mediocrity. Fox had risen to prominence as a member of the PAN, which traditionally has maintained strong ties with the Mexican Catholic Church and promotes right-of-center policies, with a heavy emphasis on a free market economy. Fox, a former president of Coca-Cola’s Mexico operations, joined PAN more out of convenience than ideology, as he never displayed a passion for visionary politics. Essentially, he was an affable back-slapper who was both a pragmatist and a man who desired to be liked. After announcing in 1997 his intention to seek the presidency, Fox adapted a brash and often negative style of campaigning. When the 2000 legislative elections denied the PRI the presidency, but gave it significant representation in both chambers of Mexico’s bicameral legislature, Fox quickly discovered that his campaign had isolated him from key politicians. Without a PAN majority, the composition of an obstructionist legislature would largely define the failed fate of Fox’s priorities, including a broader U.S. immigration policy, labor reform and a revamped system of law enforcement. But throughout his term the PRI consistently frustrated Fox by turning down his requests to coordinate on policy matters. Shortly after assuming office, Fox began lobbying U.S. politicians for a more progressive immigration policy. President Bush responded by making Mexico his first foreign destination after his own election in 2000. The close relationship that allegedly had grown between the two presidents allowed Fox to propose a bold immigration initiative that included the Guest Worker Program, amnesty for illegal immigrants, an increase in visas issued and movement to an eventual open border. The Guest Worker Program would allow Mexicans to work legally in the U.S, while amnesty for illegal immigrants could eventually offer a green card as well as legal citizenship to over three million undocumented Mexicans now living in the U.S. In exchange for implementing these initiatives, Fox pledged to tighten the Mexican border to prevent additional illegal immigration. Bush responded positively to Fox’s initiatives, and the two met on several occasions throughout the next months in order to solidify an agreement. However, September 11, 2001 brought all immigration matters to a dramatic halt, as previous U.S. priorities no longer applied. Discussion concerning the long-term objective of an open border dissolved as Bush operatives re-evaluated the security risk that such a venture would pose. Over the course of a few months, Fox’s work on immigration issues unraveled, and would never recover during the remainder of his term. While one cannot criticize Fox too harshly for not easily adapting to new U.S. priorities, the legacy of his presidency will forever be tarnished by his failure to secure a more inclusive immigration policy for Mexican emigrants. Throughout Fox’s presidential campaign, he consistently touted economic improvement as the cornerstone of his plans for Mexico’s progress. He came forth with bold statements about his intention to bring economic prosperity to his country in the form of a promised seven percent annual GDP growth rate and the empowerment of independent labor unions. As a former corporate leader, Fox brought his business palaver to the presidency. He believed that a businessman’s mentality, and not a politician’s, would be more efficient in administering the government and in inspiring the citizenry. Unfortunately, Fox was extremely shortsighted and failed to stimulate the Mexican economy, which remained stagnant for the first three years of his presidency. In 2004, the economy grew by 4.1 percent, well short of the seven percent promised to the Mexican people. With forty percent of Mexico’s population living below the poverty line in 2003, economic growth was vital to achieving adequate living standards. While Mexico’s economic slowdown between 2001 and 2003 can be partially explained by the U.S. recession after the September 11th attacks, Fox has been strikingly unsuccessful in mitigating poverty. According to the CIA World Factbook, in 2004, Mexican citizens faced an underemployment rate as high as 25 percent. Fox’s inability to improve employment opportunities for Mexican workers has mortally handicapped his program for poverty eradication. Together, Bush and Fox projected the panache of two cowboys, each enjoying the visit to each other’s ranch sites to hang around their respective chuck wagons. However, if the two had focused less on photo opportunities and more on substantive policy agreements, the citizens of both of their countries would have benefited. As Mexico’s progress rested heavily on responsive U.S. policies, the basic superficiality of Bush and Fox’s relationship was demonstrated by a lack of significant economic gain springing from the ersatz relationship. The brittle friendship that was paramount to advancing of the Fox agenda, at best simmered after 9/11. At the start of his term, Fox promised the creation of one million jobs, but he failed to mention that his administration would try to create those jobs in the U.S., which would employ recently arrived undocumented Mexican migrants. 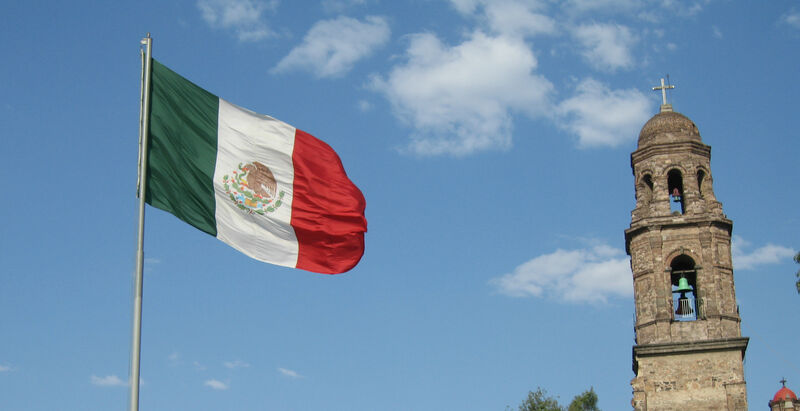 Labor rights in Mexico are far from satisfactory despite the Mexican government’s attempt to present organized labor as an independent force operating to protect workers free from state badgering. On the contrary, negotiations of working conditions involving company and “independent” labor unions, greatly favor pro-management options. Workers are rarely consulted and often are left out of the process entirely. An alternative for workers would be to form their own truly independent labor unions; however, this would leave them vulnerable to job dismissals and other retaliatory actions by employers. Thus, no genuinely positive alternative exists for Mexican workers seeking a dignified and fairly calibrated process of collective bargaining. Fox not only failed to secure progress on labor rights, he had the audacity to support legislation that would further infringe on the Mexican worker’s right to an independent union trying to represent his or her best interests. The Abascal Project, currently seeking passage in the Mexican legislature, represents the high watermark for Fox’s hypocritical stance on workers’ rights. He continually calls for increased rights for illegal immigrants residing in the U.S, while suppression of basic human rights of Mexican citizens occurs at times at home. Many years of corruption and violence associated with the Mexican judiciary and law enforcement activities have been detrimental to human rights observance in Mexico. Over the last five years, Fox has often asserted that he would take active steps to halt the violence and corruption in the system, yet at best only modest progress has been made thus far. Mexican law enforcement, which can routinely subject individuals to torture, has repeatedly failed to properly investigate and prosecute more categories of crimes. For example, in the border town of Ciudad Juarez, hundreds of young women have been murdered over the last decade, and the Mexican government has sat idly by without administering justice for the victims or implementing preventive measures. In an interview with COHA, Sean Garcia, a senior associate at the Latin America Working Group, asserted that President Fox has “genuine intent, but [his] work is not adequate.” Garcia went on to explain that a serious investigation needs to replace reviews conducted by various commissions because currently “all work and money have no tangible result in prosecuting legitimate suspects.” Allegations have arisen that police officials, confronted by heavy public pressure to solve the Ciudad Juarez murders, have begun to torture selected individuals until they sign false admissions of being implicated. Another failed initiative is that of the Special Prosecutor’s Office, which Fox created in 2001 to further the investigation and prosecution of past acts of politically related violence. The office has remained relatively inactive as both the military and the Mexican government remain generally uncooperative in providing the necessary documents required for an in-depth investigation. In addition, the office has a poor record in investigating the circumstances surrounding the disappearances of hundreds of missing persons. Furthermore, the Mexican government under President Fox has failed to change a corrupt system that allows the military to investigate its own abuses. This leads to ineffective investigations of little credibility, which fail to provide the independent oversight that is indispensable for blind justice. Additionally, when it comes to the Zapatistas, Fox has talked a high-minded game of settlement of outstanding issues, but has failed to come up with a comprehensive plan which would bring justice to a situation more familiar with violence and suppression. It is difficult to alter the corrupt culture in government if the presidency itself does not serve as a model of transparency in its decisions. Prior to his presidential election, Fox told Business Week, “We’re going to have a presidency with ethical values, which we’ve never had.” Nevertheless, a recent controversy over Mexico City Mayor Andrés Manuel López Obrador’s upcoming status has directly injured President Fox’s reputation, as many critics charge that the president’s stance on corruption exhibits hypocritical traits. López Obrador, a member of the Party of Democratic Revolution (PRD) and a leading candidate for the Mexican presidency in 2006, was charged with contempt for disobeying a judge’s order involving a minor land dispute. Consequently, Fox supported a controversial decision by the Mexican congress to remove López Obrador’s executive immunity, which is traditionally bestowed upon political officeholders to prevent them from being prosecuted while in office. As the Mexican constitution disallows anyone facing trial from running for public office, many critics have contended that Fox was willing to abuse the power of his office in order to keep López Obrador off of the presidential ballot in 2006. On April 24, 2005, mass demonstrations in Mexico pressured Fox to reinstate immunity for Mexico City’s mayor. The perception among much of the Mexican population is that President Fox is not fit to fight corruption when he uses his own office as a tool to unfairly undermine his political adversaries. Fox has spent his term in office fighting not only his political opponents, but also members of his own party in order to improve his relationship with the U.S. In 2002, Fox appointed the late diplomat, Adolfo Aguilar Zinser, as Mexican Ambassador to the UN just as it was Mexico’s turn to occupy a seat on the Security Council. Aguilar Zinser, who had split from the left-leaning PRD to become an independent and then served as a senator for the Green Party, had earlier served Fox as a National Security Advisor. But Fox’s then Foreign Minister Jorge Castañeda saw him as a political rival and gradually marginalized him with Fox. Aguilar Zinser brought his outspoken and blunt style to his duties, and in 2003, he resigned after Fox had recalled him under pressure from Secretary of State Powell, as a result of his attacks on the U.S.-led Iraq War. The fact that Fox was willing to recall him from the UN was one more example that when it came to loyalty and creedal beliefs, Fox was only a summer soldier before a tough fight and over a matter of principles. He had done the same thing before when he sanctioned Castañeda’s successful effort to recall Mexico’s Ambassador Pascoe from Cuba. Fox’s craven policy of dismissing dedicated Mexican public servants at the behest of U.S. pressure is likely to inflict lasting damage to his reputation. Several weeks ago, Aguilar Zinser was tragically killed in an auto accident. Since 2000, the Fox-led Mexican government has enacted few pieces of fundamental legislation leading toward a new direction for the nation that managed to hold onto the promise that democracy would deliver it from economic stagnation and government abuse. Mexican law decrees a one-term limit for the presidency, thus preventing Fox from seeking a second term in 2006. Forecasts remain bleak that in any event he would be able to carry out any additional initiatives in the next year and a half that could possibly add to his now shrouded democratic laurels. Most likely, Fox will go down in Mexican history as little more than a “lame duck” throughout his entire presidency, who failed to accomplish anything approaching a string of concrete improvements for his country, even though he held on as the symbol of Mexico’s turn to democracy. CIA World Factbook, Mexico Country Report. “Latina Women & Children at Risk.” Libertad Latina. 23 May 2005. “Mexico Opposition PRI Wins Landslide in State Vote.” Reuters News. 3 July 2005. Pier, Carol, “Mexico: Fox’s Labor Reform Proposal Would Deal Serious Blow to Workers’ Rights.” 9 February 2005. Stevenson, Mark, “Mexico Former Ruling Party has 2 Victories.” Associated Press. 4 July 2005. “Vicente Fox: A Revolution of Hope Is Going On.” Business Week. 3 July 2000. Wipf, Jennifer, “Bush and Fox Make Immigration Pact.” 17 February 2001.